BioOhio is proud to work with a wide range of partners across our great state. Our partners include incubators, accelerators, Edison Centers, regional economic development organizations, and more. These entities offer services that include start-up assistance, technology commercialization, access to capital, business acceleration, facility expansion consulting, regional and statewide economic development incentives, workforce development, specialized consulting services, and industry growth assistance across Ohio. The Akron Biomedical Corridor connects Akron’s major hospital systems – Akron General, Summa Health and Akron Children’s – with The University of Akron, and provides opportunities for life science and biomedical businesses to take advantage of an existing density of research, technical, and healthcare-related industries, an existing employment base of more than 11,000 people working in healthcare, access to exceptional transportation networks, and complementary cluster industries already established in the greater Akron area. The Akron Global Business Accelerator is a state-of-the-art small business incubator, focused on technology-based entrepreneurial innovation created as a partnership between The City of Akron, The Akron Development Corporation, The University of Akron and The State of Ohio. AGBA is helping high-tech organizations in leading edge industries including bomedicine, advanced materials, alternative energy sources, information technology and instruments-controls technology. The City of Akron is dedicated to growing strong communities, through sustainable economic growth, effectively responding to business needs and fostering motivation. Whether you run a small business or major corporation, the City of Akron provides the business environment and support your company needs to succeed and grow. Through the power of collaboration, Akron supports a wide array of industries, ranging from life sciences, manufacturing, polymers, and many others. The Austen BioInnovation Institute in Akron is a collaboration of complementary research, education and health institutions that will expand Akron’s materials science capabilities and accelerate biomedical innovations. The center is dedicated to becoming a global leader in biomaterial and medical research, education, clinical services and commercialization; and a driver of transformative economic, social and health benefits for Greater Akron. BioEnterprise is a business formation, recruitment, and acceleration initiative designed to grow healthcare companies and commercialize bioscience technologies. BioEnterprise’s founders and partners are Cleveland Clinic, University Hospitals, Case Western Reserve University, Summa Health System and Austen BioInnovation Institute in Akron. Braintree (the Mansfield-Richland Incubator) is non-profit organization that offers low cost operating opportunities for small businesses, and assists in nurturing their prosperous growth. Braintree assists all types of businesses, with special interest in those that strive to bring cutting edge technology to the marketplace. Services focus on business incubation, business counseling, networking, educational experiences and helping companies access capital as appropriate. The Center for Innovative Food Technology (CIFT) provides technical innovations and solutions to the food processing, agribusiness, and agricultural sectors to enhance economic performance and create jobs in the industry. Through demonstrations of technologies and novel business approaches, companies are able to improve their competitive position. Since 2001, The Center for Professional Innovation and Education (CfPIE) has embraced a singular goal—providing the highest quality education to bioscience professionals. Today, as the global leader in quality life sciences training, they offer the largest range of course options for professional development in the pharmaceutical, medical device, and biotechnology disciplines. Hundreds of Ohio employees have participated in CfPIE courses, including on-site training. Columbus 2020 is an economic development organization leveraging the strengths of the region’s talented workforce, small and large businesses, research and academic institutions, logistics infrastructure, and international connections to ignite economic growth and build a healthier, more sustainable future for Central Ohio. CincyTech is a public-private seed-stage investor whose mission is to strengthen the regional economy by driving talent and capital into scalable technology companies in Southwest Ohio. CincyTech is focused on two key outcomes: creating jobs and providing a return for investors. CincyTech is supported by foundations, corporations, municipalities and individuals. 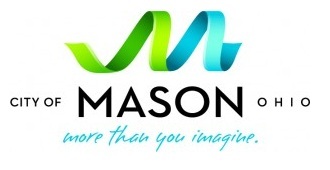 The City of Mason is a dynamic and diverse business community located in one of the region’s top cities for quality of life. Local business investment includes corporate offices, research and development, light manufacturing, fulfillment centers, packing, management consultants, engineering, and many other business sectors. Mason’s Economic Development team acts as your liaison between local government and the business community by connecting you to the appropriate resources to help you succeed. The Dayton Development Coalition is the regional economic development and advocacy organization whose mission is to support job creation and prosperity for the citizens of the Dayton Region. The DDC is a public/private partnership and the Western Ohio regional partner for JobsOhio. The Edison Biotechnology Institute (EBI) is a research institute of Ohio University. EBI’s rich interdisciplinary and entrepreneurial environment fosters basic discovery research, the development of new technology — and the transfer of that technology to the private sector to create companies, jobs and investment in Ohio. Edison Welding Institute (EWI) develops and applies manufacturing technology innovation within the manufacturing industry, specializing in the improvement of operational efficiencies through innovative materials joining and allied technologies. As a member-based organization, EWI provides applied research, manufacturing support, and strategic services to nearly over 1,200 member company locations worldwide. The Global Cardiovascular Innovation Center (GCIC) is a cardiovascular product development consortium made possible by the State of Ohio’s Third Frontier Program. GCIC is focused on the formation, attraction, expansion and retention of cardiovascular companies to create jobs and facilitate economic development in the State of Ohio. Great Lakes Innovation & Development Enterprise (GLIDE) is a comprehensive regional innovation center, resource hub, and business incubator that supports all facets of the start-up, development, and growth of enterprises. Located on Lorain County Community College’s campus, GLIDE’s support services can provide any business or potential business with the tools and resources needed to navigate toward commercial success. HCDC, established in 1983 (formerly Hamilton County Development Co. Inc.) helps build businesses and promote job creation in 3 simple ways: businesses incubation, business lending, and economic development services. Born out of a need to create jobs to counter a shrinking manufacturing sector, HCDC has nurtured over 300 resident companies, financed over $1 Billion in projects and helped attract and create tens of thousands of local jobs. The Heal Ohio Collaborative is a voluntary multi-disciplinary and multi-institutional collaborative dedicated to research, education, and commercialization activity focused on all aspects of wound healing and prevention to enhance patient care through formulation and testing of new diagnostic, drug, and therapeutic means and to increase outreach and educational opportunities in the Ohio community at large. It is a statewide collaborative that aims to unite scientists, healthcare professionals, and commercial partners who share a common vision and mission in order that a focused effort can be made to solve problems associated with wound healing. In doing this, it will serve to bridge the gaps that exist between clinic, research, business, and patients. JobsOhio is a private, nonprofit organization that promotes job creation, economic development, new capital investment, and economic growth by being a leading provider of innovative business solutions to companies. The JobsOhio Network includes partners in each of Ohio’s six regions that offer local contacts and expertise. JumpStart is a business accelerator whose vision is to increase the economic impact and sustainability of Northeast Ohio’s entrepreneurial ecosystem. JumpStart directly invests in and assists entrepreneurs leading high growth companies in Greater Cleveland, and also grows and strengthens the region’s entrepreneurial ecosystem by raising funds for other support organizations and managing a network of 20 incubators, accelerators, and investors. The Manufacturing Advocacy & Growth Network (MAGNET) is a nonprofit organization helping companies achieve bottom-line efficiencies through increased productivity and process improvement programs while improving top-line sales through a variety of new product development and growth strategies. The Ohio Development Services Agency works to support Ohio’s businesses, large and small, as they maneuver in the global economy. ODSA resources include the Small Business Development Centers, the Minority Business Development Centers, and International Trade Assistance Centers, as well as the Small and Minority Business Financial Incentives Programs, and Ohio Third Frontier. The Ohio Health Information Partnership (OHIP) assists physicians and other providers with the adoption and implementation of health information technology throughout Ohio, specifically in the adoption and use of electronic health records. BioOhio is proud to be one of the founding members of the Partnership. Ohio Small Business Development Centers (SBDC) is the premier technical assistance program, providing more than $10 million in cash and resources to the support of small business development in Ohio. The network is provided through a partnership between the Ohio DSA, the US Small Business Administration and selected Ohio chambers of commerce, colleges and universities, and economic development agencies. The SBDC Network holds a variety of events and workshops around the state to help get your business moving. The Ohio University Innovation Center helps entrepreneurs turn their promising ideas into flourishing businesses. Many of the businesses affiliated with the Innovation Center go on to great things—even when they start small. By partnering with the Innovation Center, your business can become more stable, more visible, and better equipped for success while also adding a network of industry and business experts to your team. Connections, expertise, and advice will be right at your fingertips. PolymerOhio is an Ohio Edison Technology Center that is focused on enhancing the Ohio polymer industry’s global competitiveness and growth by offering a broad range of value-added programs and services. PolymerOhio experts have a deep understanding of the polymer materials and processes and the products derived from these materials. The Regional Economic Development Initiative (REDI) Cincinnati has been consistently recognized as one of the top economic development organizations by Site Selection magazine. REDI is your first point-of-contact for questions about locating or expanding your company in the Southwest Ohio region. The Regional Growth Partnership is a privately led economic development organization committed to meeting the needs of businesses, site consultants and corporate real estate professionals in a confidential, innovative, and time-sensitive manner. RGP offers a full range of traditional business development services in collaboration with partners across the region. Rev1 Ventures (formerly TechColumbus) is a public-private partnership with the mission to accelerate Central Ohio’s innovation economy, focusing on building high-growth companies. Rev1 Ventures works directly with entrepreneurs to help them create and grow their companies. Services include expert advice, access to capital, and accelerated connections to other private, public, and academic resources. Team NEO is an economic development organization focused on creating jobs for Northeast Ohio’s residents. In collaboration with partners, it leads the region’s business attraction efforts, supports business retention and expansion work as Northeast Ohio’s JobsOhio affiliate, and aligns strategies and resources within the economic development network to maximize its impact. In addition, Team NEO provides tools to assist employers in attracting talent to the region. TechSolve is a nationally recognized provider of process improvement expertise across manufacturing, advanced machining, aerospace & defense, and healthcare sectors. TechSolve helps clients remain highly competitive, and provides the most efficient methods to identify opportunities across the ever-changing markets. Youngstown Business Incubator helps accelerate emerging businesses by providing facilities, equipment, resource networks, entrepreneurial counseling, and networking opportunities. YBI helps technology entrepreneurs by assisting with commercialization process, counseling on marketing strategies, identifying funding resources, facilitating networking, opportunities, providing access to physical infrastructure, and seeking out collaborative opportunities. BioOhio represents its members as the Ohio affiliate of AdvaMed, BIO, MDMA, and PhRMA. For more information about our partners, visit our Government Relations page.